Dads are important. They model what it means to be a man. It is from our fathers that young boys learn how a man should act, view God, and treat others. It is from their fathers that young girls learn how a man should treat them, respect them, protect them and love them. My Dad taught me the importance of hard work, determination and perseverance. He taught me that a man was valued by his word. He taught me to guard my integrity and to learn what I believe versus relying on someone else to tell me what I should believe. My Dad taught me independence. Like your Dad, my Dad mattered. My dad was a great guy. He was intelligent; brilliant with machines. He could diagnose a problem by hearing a motor run or a machine at work. He was a simple man. He believed in integrity and valued honesty. He went to work every day and saw to it that we had a roof over our heads and food on the table. Make no doubt, my Dad was the man of the house. His word was law. He was the boss. Rule number 1 at our house was that the boss was always right. Rule number 2 said that if the boss was wrong, please see rule number 1. Perhaps this may seem antiquated to some of you. But my Dad knew what he was doing. He was teaching me how to survive and get along in this world. As a child trying to simply survive in the midst of war torn World War 2 Germany, Dad knew life was extremely tough and certainly it wasn’t always fair. Determination and perseverance were important tenets of his teaching. Conviction mattered. My Dad didn’t care what you believed as long as you believed it fully and had reached your belief through your own efforts, not because someone told you it was what you should believe. He didn’t coddle weakness or teach any sensitivity courses. Sure, my Dad would probably be the first to tell you he didn’t say the words “I love you” as often as he probably should have. Rather than saying the words, my Dad showed his love through his actions. My Dad knew all too well that in this world, you weren’t going to have people telling you how much they loved you all the time. He also knew that words didn’t matter near as much as actions. People say all kinds of things. What they say isn’t nearly as important as what they do. Talk is cheap, Dad would say. My Dad lost his Dad by the time he turned 21. For a good part of his life, my Dad’s dad wasn’t present. Not because he didn’t want to be, but because he couldn’t be. He spent most of my Dad’s childhood at war and in a prisoner of war camp. 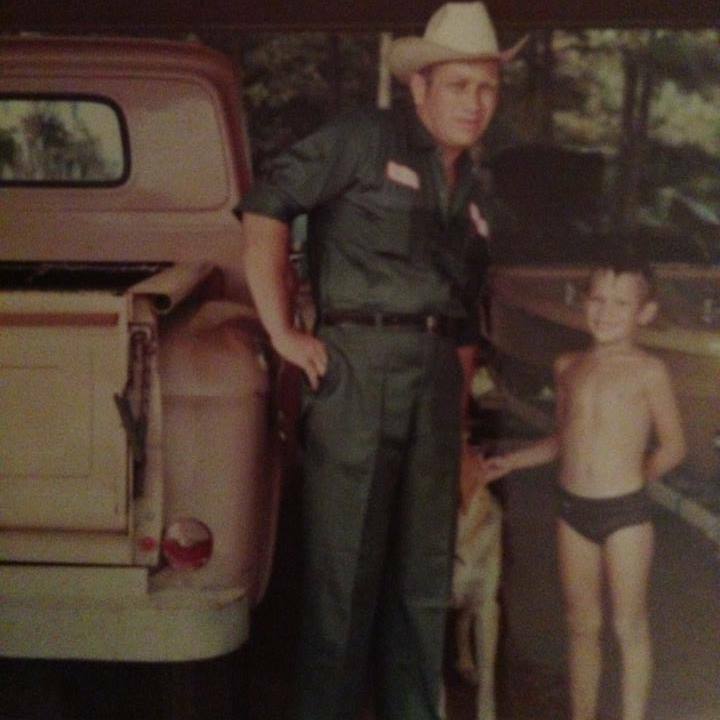 My Dad was tough and rugged. A man’s man. If someone needed help, he was there to help them. If something needed killing, my Dad was there too. Fortunately, to the best of my knowledge, that was limited to fish, rabbits, snakes, and the occassional rabid dog. Although, I’m sure there were times growing up where he probably could have killed me. Thankfully, he didn’t. My Dad loved fish frys and beer. He liked having his friends over to have a laugh or two and to play a few games of chess. For almost all my life, my Dad was smoker. He’d smoked since he was a young boy growing up in post-World War 2 Germany. Say what you will, my Dad was there. He made every effort to be there for the important things. He supported me when he thought I was right and told me without a shadow of a doubt when he thought I was wrong. Like your Dad, my Dad wasn’t a perfect man. He simply woke up every day and did the best he could with what he had. I’m grateful…because Dads matter.